In this article we explain step-by-step how to shoot 360-degree-pictures with your RICOH THETA camera and the FEELESTATE HDR app, and how to upload 360-degree footage directly from your smartphone/tablet to your FEELESTATE account. Step 1: Install the FEELESTATE HDR app on your smartphone or tablet (iOS & Android). A complete guide on how to install the app can be found HERE. Turn on your RICOH THETA camera and press the Wi-Fi-Button on the side of the camera until the Wi-Fi-Icon on the camera lights up. The Wi-Fi-light of some RICOH THETA models is located at the front of the camera. On your mobile device, open Network Management and select the wireless network connection of the RICOH THETA camera. 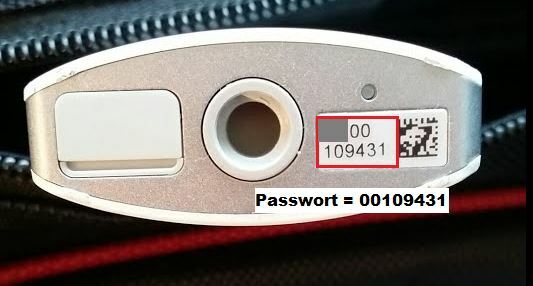 Note: The password for the wireless network connection can be found on the bottom of the camera and in the name of the wireless network connection. It consists of 8 digits (no letters) and usually starts with 00 (zero zero). Now that you’ve connected your mobile device to the camera network, open the THETA HDR app and select “Connect to THETA” in the app’s Camera menu. Note: If you are unable to connect to the RICOH THETA camera, check the wireless connection on your mobile device. In the RICOH THETA HDR app, open the camera menu and select the “Activate HDR Button” to use this feature for your RICOH THETA recordings. Note: Activating the HDR-Function is highly recommended for a better exposure and image quality. Place the camera in the desired position in the room. Leave the room if you do not want to appear in the 360-degree-picture. Press the Start-Button to take the 360-degree-picture. Note: If the HDR-Funtion is activated, 3 shots will be shot consecutively, so you will hear the beep of your RICOH THETA camera 3 times. Do not enter the room until all 3 shots have been taken! Name: Name the image (e.g. living room, bathroom, etc). Delete: Here you can delete the current image. Upload: Here you can upload the image directly to a 360-degree-tour in your FEELESTATE account. Name the image an select back so that you can repeat the 360-degree-shooting in all the rooms that you want to add to your 360-degree-tour. Select the menu item “Settings” in the RICOH THETA HDR app. Enter the login details of your FEELESTATE account (E-Mail-Address + Password) to connect your FEELESTATE account with the RICOH THETA HDR app. Select the menu item Gallery in the app to view all your 360-degree-images, sorted by date of creation. Choose an images and select “Upload” in the upper right corner of the screen. Note: If you do not want to upload multiple images to a 360-degree-tour in your FEELESTATE account, use “Select” and mark all 360-degree-images that you would like to upload. Choose a 360-degree-tour to which you want to upload the selected 360-degree-image(s). Use “Upload Now” to load all of the selected 360-degree- images into the selected 360-degree-tour. Once the upload is completed, the images will be visible in the selected 360-degree-tour in your FEELESTATE account.